The velocity and turbulence impacting businesses is expected to continue to escalate in 2017, driven by dynamic markets, increased regulations and a highly competitive talent pool on one end of the spectrum and heavy investments in skills and behavioral training needed on the other. The Training & Development function must be aligned and supporting the organization to an even greater extent, and yet the investment in training per employee is in decline in many companies. Additionally, the management and selection of training initiatives is still built on the traditional “command and control” model of tactics, reaction and cost/benefits. 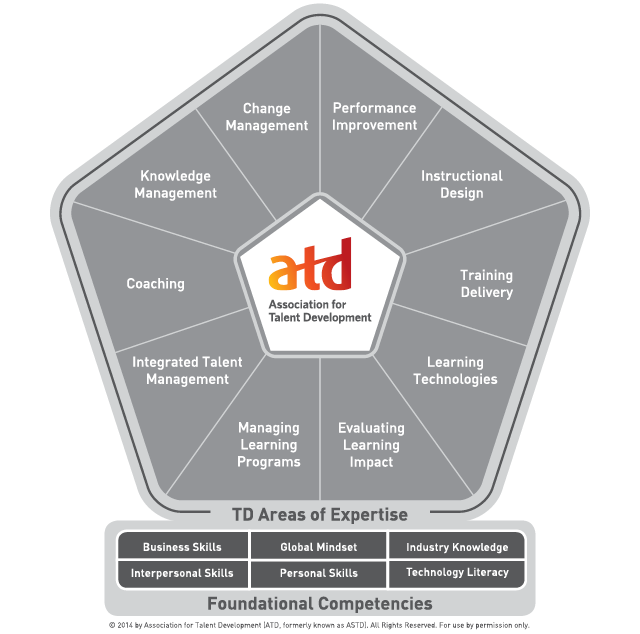 In this highly interactive session, ATD members will be challenged and guided through a “next practices” approach to re-inventing the L & D business model to provide what CEO’s and other leaders find most valuable to organization & workforce success. This session will examine methods a step beyond the traditional “partnering” role to help training professions become a major contributing element of business success help them with a framework for rethinking of L & D processes, activities and behaviors. Rethinking T & D: T & D functions are often built around an organization, processes and/or activities from years past and simply “patched up” or had elements bolted on that never really fit. This session will focus on how to rethink the Training model and energize your team around moving beyond the status quo in the process. Build a compelling case for training initiatives: How to develop a business-driven case for change that focuses on learning and development improvements that contribute direct, line of sight benefits to the organization value proposition. Picking your targets: A next practices approach implies that some training activities must change and other must go. This presentation will help the audience focus on improvements that are of highest value to the organization, and outsource or eliminate others. These changes must go beyond the superficial to get at new service models, processes and tools that deliver what the organization needs on a timely basis. Decision making that works: A new set of skills and competencies will be needed for Next Practices Training. Collaboration, innovation, transparency, execution and continuous learning will be of paramount importance- for all Training team members. This session will address how to assess your current team, and develop them to excel in this environment. Case studies of local companies who have transformed Training will be presented. Scott Hamilton is CEO & President, Executive Next Practices Institute/ Senior Partner and Co-Founder, ALLIGN™. Executive Next Practices Institute, a research and advisory think tank comprised of several thousand C-level executives who meet to uncover new trends, ideas and approaches to today’s strategic and operational business challenges. ALLIGN™ has developed and introduced a proprietary process that integrates leadership vision with visual-experiential mapping methods to align all stakeholders into unified, positive action. Scott has worked with executives and leadership teams in companies such as Parsons (Engineering Services), Worley (Engineering), McDonald’s (Manufacturing and Distribution Suppliers), Nestle USA (Food and Distribution divisions), Bergen Brunswig (Distribution), Aramark (Food), AlliedSignal and DirecTV (Content distribution operations). Scott’s particular professional passion has been in organizational and people development that strengthen business value; strategic planning, execution methods, and leadership team building. Debbie Nix, VP of HR for Covenant Care leads human resource and risk management operations for multiple and diverse business lines. She created the infrastructure to support a 30% growth in the business through due diligence analysis of potential acquisitions and seamless execution of employee integration by focusing on the key corporate decision-maker to drive corporate business growth. Covenant Care is a national, privately-held company with 8,700 employees, 24/7 operation of Skilled Nursing & Assisted Living facilities, Rehabilitation and Home Health serving over 20,000 patients per year.